Let's have a look at some new 60FPS PC gameplay for Gears of War 4, showcasing the game when ran on mouse and keyboard. 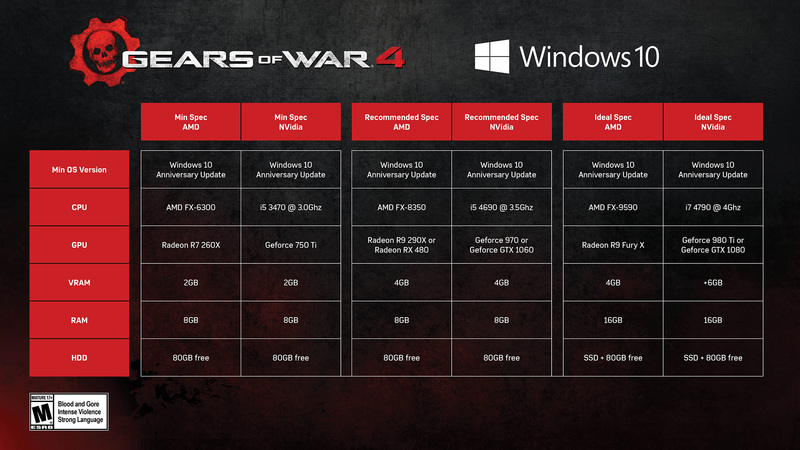 Read more on Gears of War 4's PC version. 80gb? hell in a hand basket ! GoW 2 and 3 too please.. these must be made and released! played a bit of this at i58 and it was alright. Nothing amazing but it might have been because it was being overshadowed by the new dead rising. are there any games out that actually do that? Not to my knowledge and it's a shame that there aren't any, An example being Battlefield which I actually do enjoy the campaign even if it is short, I do not like multiplayer games in general so would prefer it if the multiplayer aspect could be skipped during the install process through an installation tick box option. Why do they always pick crap players to show these gameplay videos off? Can't aim for nothing, and it looks like they're using a pad on PC too.. :S makes no sense to me, you're not selling it to me at all.. I'd actually really, REALLY appreciate this too. I don't play multiplayer, I don't enjoy multiplayer. Why does it need to take up space on my drives? Does the visual quality look as bad in person as it does in this video?